Call it 'driving with a buzz.' The Montana Highway Patrol recently made a rather odd sort of traffic stop, acting on reports of a motorist swerving in a car that appeared to be filled with flying insects. 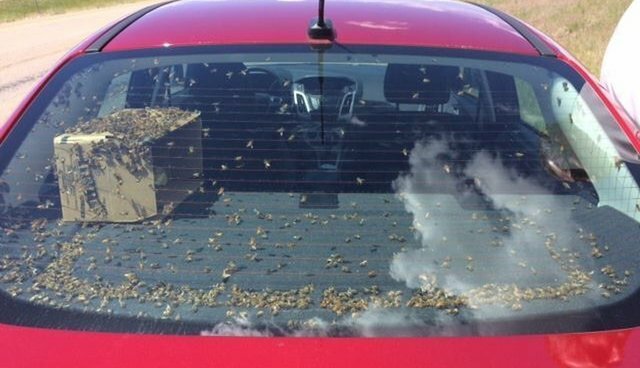 When officers finally tracked the vehicle down, they discovered it was indeed packed full of little, winged passengers - more specifically, a dizzying swarm of thousands of honey bees. As it turns out, the driver was in the process of transporting five hives of Russian honeybees, commonly used in honey production, when they apparently escaped the containers they were riding in. But as unusual as it might be to cruise around amidst a cloud of stinging pollinators, there's apparently no law forbidding it. 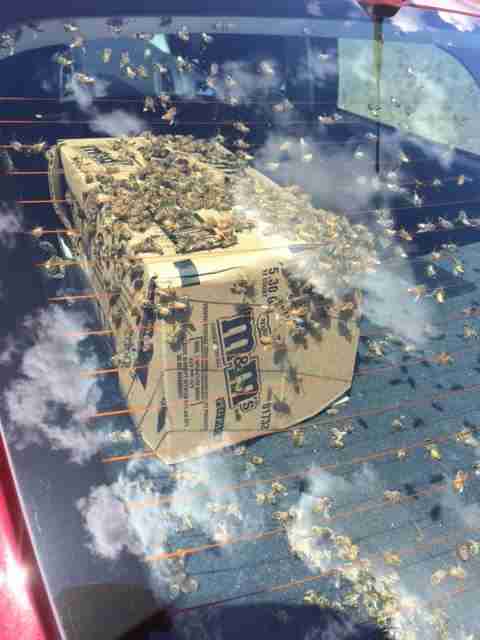 "The state Apiarist was contacted and troopers learned although a very unsafe way to transport bees, that the driver needed no permits to transport the bee's through the state," the MHP wrote in a Facebook post. While technically legal to drive a car full of bees, the rules of the road always apply - so the erratically-driving insect chauffeur was still stung with a citation: for careless driving.